Browse HUNDREDS of pre-owned vehicles! Discovering what your trade is worth it the first step if you're thinking to upgrade. Great place, helpful employees, and an atmosphere of professionalism. My only recommendation is not to use their suggested bank, NAE FCU. I have had a few issues with that bank. Now known as Checkered Flag Hyundai! I love their service center... Mario is the BEST!! 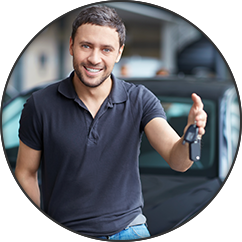 Driver's World is a whole lot more than just your average used car dealership: we’re the leading source for quality, affordable pre-owned vehicles for Chesapeake, Norfolk, Portsmouth, Suffolk, and Hampton area drivers. 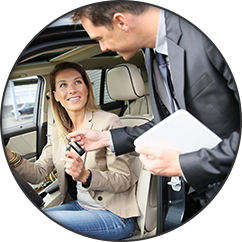 When you’re looking for a car to drive that you can be excited to own, fit into your budget, and feel confident about relying on daily, Driver's World is your source. Work with our committed team to make sure you get exactly what you want. There are a couple of things that set our inventory apart from the competition. 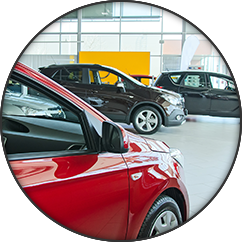 First, we have makes and models from most major automakers including sedans, trucks, crossovers, and a whole lot more. We also have models to fit any budget. That means you can find a great value vehicle, or splurge on something that would cost you a lot more if you bought it new. Perhaps most important of all, we have a best-price-first policy where you never have to haggle or feel like you’re paying too much. If you find your not satisfied with your purchase, we have a three-day return or exchange program with no questions asked. Our vehicles are carefully inspected before going out on the lot, but we also provide a free three month / 3000-mile warranty for added protection. Once you find the vehicle best for you, you’ll find that Driver's World offers fast, simple car financing to more drivers. If you have been turned down elsewhere or made an offer with outrageous terms, choose to work with our financing professionals instead. We will find you a better offer and walk you through the details honestly and completely. Finally, take advantage of one of the extended warranties we offer, and rely on our comprehensive service center to take complete care of your vehicle for years to come. Count on us to meet all your needs, every time. We make it possible to enjoy the benefits of a premium dealership while letting you take advantage of the savings of pre-owned vehicles. A smarter way to buy a car is waiting for you at Driver's World. We don't close until the last customer leaves!